“The Bermuda Progressive Labour Party’s National Tourism Plan envisioned a series of Tourism Hubs or ‘centers of designated tourism interests,’ that would offer unique experiences for our visitors,” Shadow Tourism Minister Jamahl Simmons said. “Among the 5 hubs in our National Tourism Plan, the South Shore beaches were seen as critical to enhancing our overall product. “We continue to see this as a tremendous opportunity for Bermudian entrepreneurs to create new and appealing businesses and services for our visitors while employing the people who need jobs most at this time – Bermudians. “We believe that sustainable development does not equal no development,” added Mr Simmons. “In that vein, we encourage the Government to get buy in from Parks and environmentalists, so we may get on with the business of enhancing our product, creating a richer series of experiences for our tourists and giving them more reasons to visit our island and return. “Furthermore, we as Bermudians must not reject out of hand entrepreneurial concepts or services that are new, innovative or unique, if they can potentially reinvigorate our tourism product. “We support the enhancement of key areas throughout the island and will continue to push for the full implementation of our National Tourism Strategy. “We welcome the news that the Bermuda Tourism Authority has bought into part of our vision for revitalizing our product,” Mr Simmons concluded. Ha…ha…ha..ha…ha…. You just can’t make this stuff up. So what are these 5 hubs??? Are the beaches as a whole a hub, or are they different hubs??? What about Dockyard, Hamilton, St. Georges. Dockyard has slowly been getting in shape a quality destination, the government has made strides to restoring St. Georges as a destination, the BTA has announced a plan to create enhanced facilities for a selected number of critical beaches, rather than an over focus and abuse of too many…. and now Mr. Simmons is saying that they are happy to hear that the BTA has bought into part of their plan??? What is their plan??? sorry Jamahl – PLP’s ‘vision’ got us where we are today… move on people, nothing to read here. The PLP may have had a vision but they couldn’t see past their own pocketbooks so they got nothing done. The OBA are all about execution and finally getting things done. One thing you guys were good at planning and planning to talk about planning. Execution of your ideas and plans? Not so much, huh? Ahh, you mean like having a moto-X track at Astwood Park? What vision that was. Love the way the PLP are jumping on the bandwagon of success and calling it their vision. They can clearly see that Bermuda is finally heading in the right direction again, and they are itching to take the credit. Of course. Now they want to take credit for what the BTA is doing. Well you can tell Jahmal doesnt have a day job!! The letter requesting bathrooms at our more popular beaches has yet to be answered . It’s been four years now. Jobs could have been provided at very little expanse. BUT WHO IS LISTENING? I noticed the bathrooms at Shelly Bay on South Shore have been redone recently. Maybe you should take a drive and look for yourself. Please give us the directions to Shelly Bay on South Shore. the word mentioned was ‘and’. Why build bathrooms when they are only going to be destroyed by de yute? You build bathrooms because people use them . When they get dirty, we send people in to clean them . The bathrooms at John Smiths Bay were built with money which was also meant to provide bathrooms at Clearwater and Shelly Bay. JSB went so far over budget that the other two weren’t built. Go ask yourself why. Lets ignore the fact that the bathrooms at John Smiths are so far from the beach that people think it’s a house. WTF? Is this guy getting enough oxygen? I could have scribbled down something better than this on my napkin at lunch. What does any of it really say or mean? It is BS. And the worst part is he says “we” meaning that there are more that think like (or for) him and assume they can win over something as important as my vote by spouting this kind of drivel. F.O.PLP! You Féd this place up enough. And just how much support did the PLP give to the Shelly Bay development? If you truly believe that “sustainable development does not equal no development” than occasionally you are going to have NOT jump on the “not in my backyard” bandwagon that greets any development in Bermuda. And just how much support did the PLP give to the Shelly Bay development? If you truly believe that “sustainable development does not equal no development” than occasionally you are going to have to NOT jump on the “not in my backyard” bandwagon that greets any development in Bermuda. The PLP MP’s protested to prevent Shelly Bay being developed. Protested against jobs, and against improving our tourism product. Well, that went well Jamahl, didn’t it? The PLP handed the concession down at Horsehoe Bay to one of their chosen few and it was a disaster. They simply ran the place into the ground and pocketed whatever cash they could. Zero reinvestment. It had to be taken away and given to another group. These are just more hollow words from the PLP. Rather than a Bermuda-centric view of tourism, how about a customer-centric view? Let’s take the novel approach of asking what customers want (other than clean and functioning bathrooms…), and do what every other destination does by giving it to them. That sounds like a National Tourism Plan. 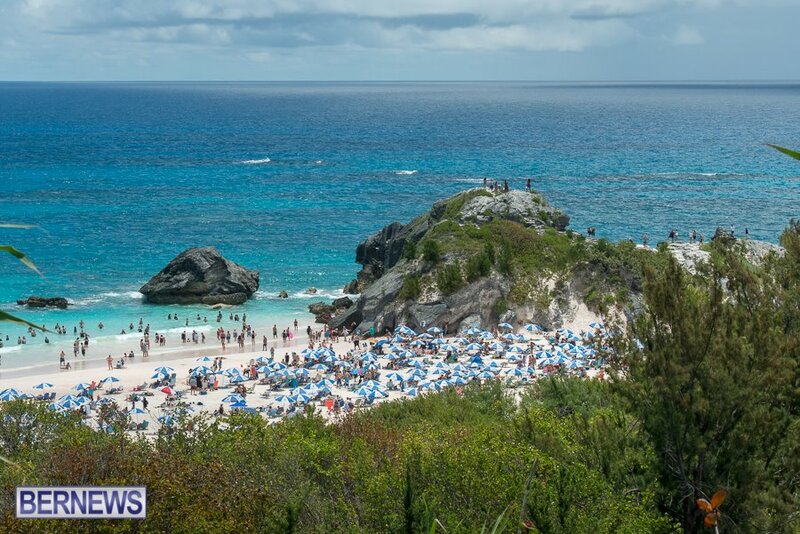 Bermuda is a beach destination for half the year, at best. This is amateur hour and it shows.